Bleeding gums are a sign of a problem, ranging from tartar buildup to gum disease. It’s important to determine what’s causing the bleeding in order to stave off further complications. For instance, unchecked tartar can lead to tooth decay as well as gum disease, while gum disease can lead to tooth loss. When in doubt, consult our dentists at Riverside Dental Care, who are dedicated to maintaining and improving the state of your smile. In the meantime, let’s explore a few potential causes of bleeding gums. If you fail to regularly brush and floss, plaque can build up on your teeth. Plaque is a soft, sticky, bacteria-laden film that can damage the enamel of your teeth, causing tooth decay. When left unchecked plaque hardens into tartar, a crusty deposit that forms along the gum line. Tartar is something you want to get rid of right away because it irritates your gums and makes it harder to remove plaque and bacteria. In fact, it creates a sort of shield where bacteria can thrive, which can lead to infection or disease. Because it creates such a strong bond with your teeth, tartar must be professionally removed by your dentist. If left untreated, gingivitis can advance to a more serious condition called periodontitis. Periodontitis is a gum disease that causes damage to soft tissue and destroys the bone supporting your teeth. It can cause teeth to loosen or lead to tooth loss. With today’s technological advances, lost teeth can be replaced with cosmetic dental procedures like dental implants. It’s much better, and cheaper, however, if you can save the teeth you have. If you suspect you have periodontitis, make an appointment with our dentists as soon as possible. The sooner you get care, the better chance the ravages of periodontitis can be reversed. As Benjamin Franklin once said, “An ounce of prevention is worth a pound of cure.” When it comes to the health of your teeth and gums, this means it’s best to practice good dental care so you don’t develop problems in the first place. 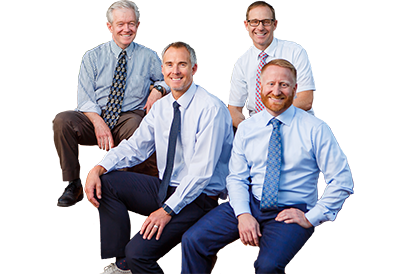 If you are worried about the state of your gums or are just looking for a dentist office in St. George that can take care of your general and cosmetic dentistry needs, contact us at Riverside Dental. We strive to give you quality of care you can smile about.